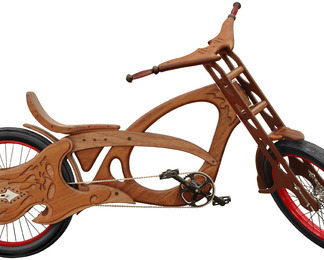 Master woodworkers Bill Holloway and Mauro Hernandez create art you can ride. 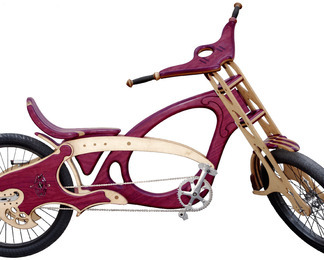 The partners of San Jose, Calif.-based Masterworks Wood and Design handcraft fully functional, customized wooden bicycles, each of which marry artful sculpting with intricate detailing. 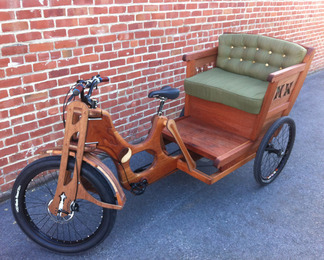 Masterworks uses wood salvaged from condemned or dying city trees in Bay Area communities, giving the wood a second life and helping improve the environment. 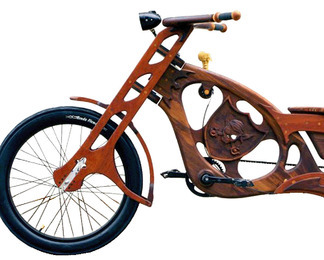 They also use a Penofin Verde rosewood oil finish, which is low VOC and ecologically friendly. 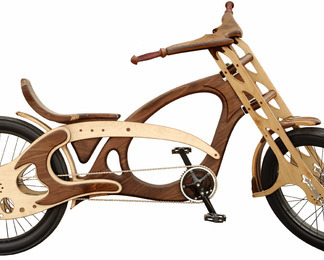 Bill and Mauro spend about 100 hours on each cycle, using old-world wood crafting techniques and tools to create a final product that is truly a labor of love. 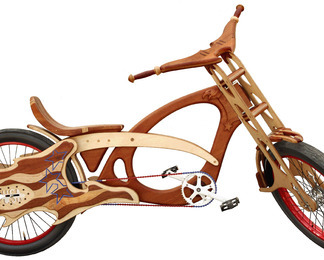 The attention to detail and craftsmanship make each bike "art in motion" as they cruise down city streets, turning heads where ever they are. Bill and Mauro live and work in San Jose, California, USA.